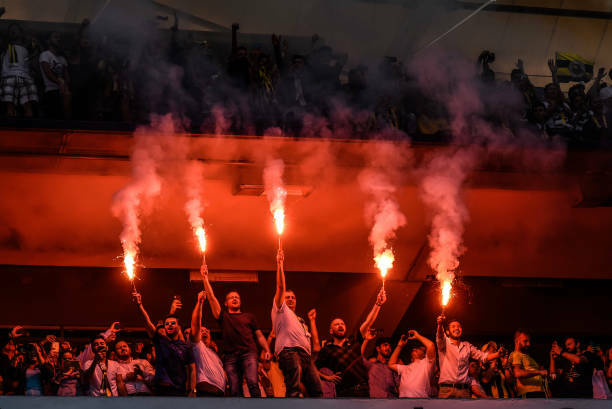 Galatasaray take on bitter rivals Fenerbahce at the Sukru Saracoglu Stadium on Sunday in the Super Lig. League leaders Basaksehir lost their first game of 2019 against Besiktas on Saturday giving Galatasaray to close the gap at the top to just three points. There is only one problem. The Lions have not beat Fenerbahce away from home this century. The Yellow Canaries meanwhile, are currently just five points above the relegation zone after a disappointing season. The visitors head into the game undefeated in their last 13 league games. Galatasaray will however, be without first-choice defenders Christian Luyindama and Marcao who are both suspended. Fatih Terim has a defensive headache but Fenerbahce have hardly been potent in front of goal this season. Fenerbahce have not lost to Galatasaray in their last 24 home games in all competitions. In fact the last time the Lions beat their rivals at the Sukru Saracoglu was the 1999-00 season. The Yellow-Navy Blues have had a torrid campaign but it is worth highlighting that they have looked more organised recently. Winter transfers Victor Moses, Zajc and Tolgay Arslan have added some stability. As with most derby games between these two sides the form book gets thrown out the window. Fenerbahce may be hovering above the relegation zone but they cannot be written off at home. Galatasaray will have to exorcise their demons if they hope to finally end their away curse versus Fenerbahce. The title race rests on this match, making the derby even more emotionally charged than usual.